I love the "show and tell" part of our quilt guild meetings. So...since I have your attention, I thought this would be a perfect time to show you other quilts I have made. I have always been kind of a do-it-yourself kinda gal, so a lot of the designs were made up by me. New ones will be added as I complete them, so check back often. And thanks for looking! 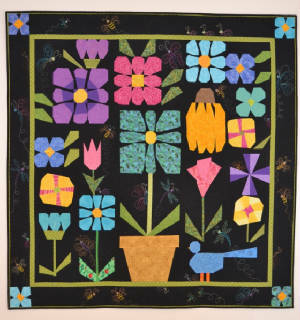 "Bloomin' Things" was the result of a class by Mary Lou Weidman. 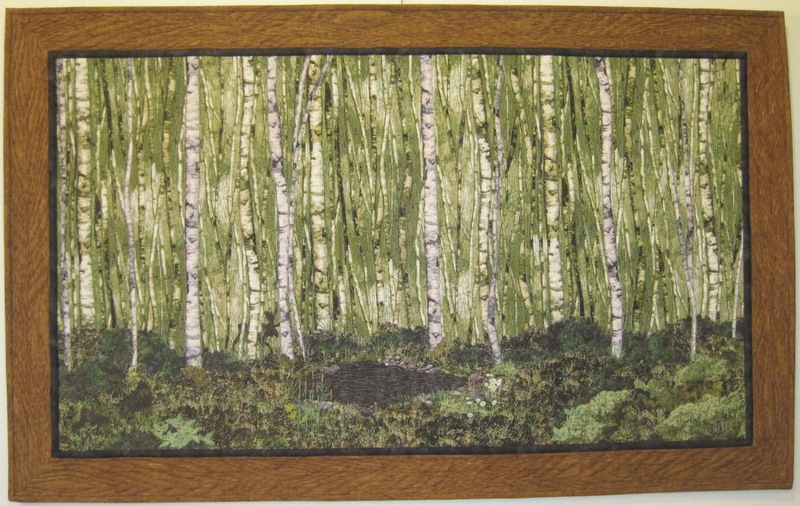 It was a semi- finalist at the American Quilters' Society quilt show in Paducah, Kentucky. I did not win an award, but it was a huge honor to be a semi-finalist! It was also chosen by Ricky Tims to be in a special display at Road to California in January 2012. The display was titled "All That Jazz." The quilts had to be "improvisational" quilts - no pattern, no plan. See all the quilts here. 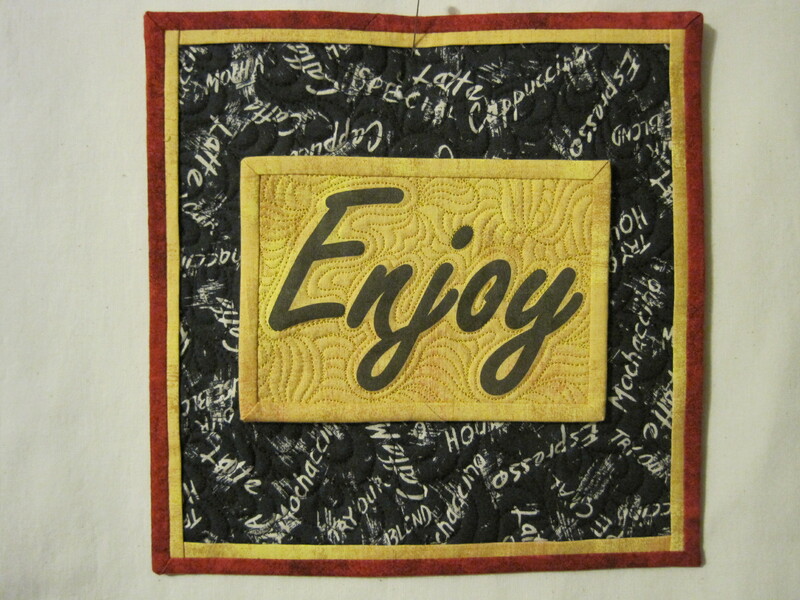 "Enjoy" was made for a challenge for Quilting Arts Magazine. I was to make an "affirmative" quilt. 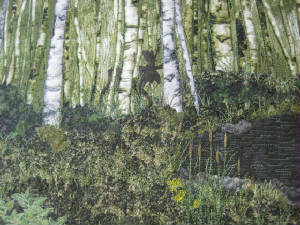 This one was chosen to be in their on-line magazine, In Stitches. Ó Copyright 2001 - 2012, Carol Kolf a.k.a. Quiltercarol -- All text and images contained on this site are protected under United States Copyright Laws. Reproduction or distribution, electronically or otherwise, is strictly prohibited.